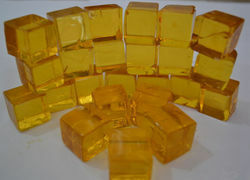 Manufacturer of a wide range of products which include gum copal and gum rosin. Rosin is a natural organic compound comprising of resins. Disproportionated Rosin is a solid form of Resin obtained from pines and varies in color, according to the age of the tree from which the turpentine is drawn and the degree of heat applied in distillation.